The Golden Globes is a magical event for the television and film industries, but this year there was magic in the air for more reasons than prospective awards. 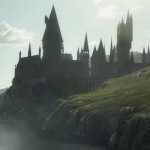 As stars began to arrive, it was clear the night would embrace the momentum of many recent social movements, powerfully emphasizing activism in much the same way Harry Potter and J.K. Rowling have always done. Many actresses announced their intention to make personal statements of support by inviting prominent activists as guests for the evening. 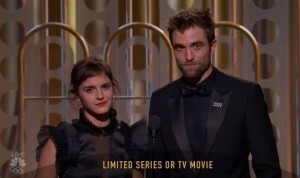 Variety reported that Emma Watson was, unsurprisingly, among them. She brought Marai Larasi, executive director of Imkaan (UK), a Black-feminist organization comprised of members from England, Wales, and Scotland. Larasi also co-chairs the End Violence Against Women Coalition, the UKs foremost collaborating organization aiming to eliminate violence toward women and girls. Others participated in the #whywewearblack campaign to protest gender inequality and show support for the brave individuals drawing attention to rampant sexual harassment. In particular, Fantastic Beasts stars Alison Sudol (Queenie Goldstein) and Zoe Kravitz (Leta Lestrange) were breathtaking in strong black statement pieces. #whywewearblack #timesup @timesupnow • Black is beautiful …and so is respect and equality. 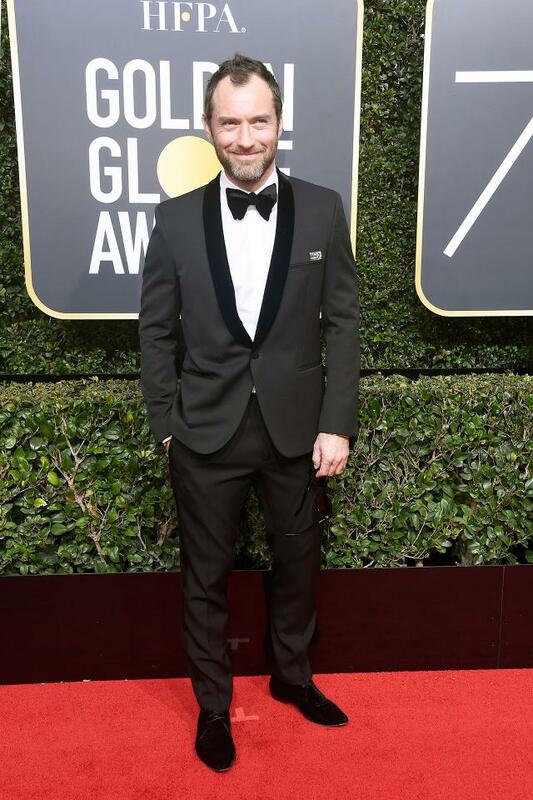 Fantastic Beasts star Jude Law (young Albus Dumbledore) also looked dashing on the red carpet, and we spied Harry Potter alums David Thewlis (Remus Lupin) and Gary Oldman (Sirius Black) as well! 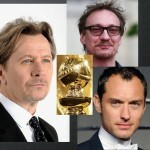 Before showing up for the event, nominated actors, including Gary Oldman, attended a dinner hosted by fellow nominee James Franco. Best Supporting Actor nominee, Armie Hammer, later told the press it was a very intimate dinner, which humanized the whole event. The actors had the chance to relax and get to know one another, going around the room to share stories by year. 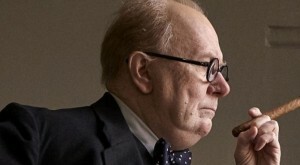 Oldman was also sought out for red-carpet interviews and discussed his portrayal of Winston Churchill in Darkest Hour. He revealed that while preparing for the role he learned Churchill wrote 50 books and smoked 165,000 cigars in his lifetime. 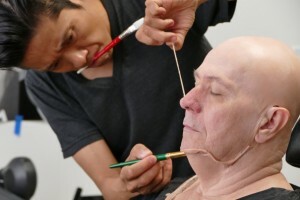 Oldman also said he woke up at 2 a.m. every day in order to be fitted with the prosthetics and make-up that transformed him into the iconic British prime minister. And before the night was out, Oldman was rewarded for his exceptional talent and dedication with the well-deserved win for Best Performance by an Actor in a Motion Picture Drama! Finally, to recognize the ongoing stellar work of Oldman over the years, tune in to Film 4 today to view some of his best work leading up to this outstanding film. He wasn’t the only one to come away with award gold–composer of the score for Harry Potter and the Deathly Hallows Parts I and II, Alexandre Desplat, won for his exquisite work on The Shape of Water. He was awarded the win for Best Original Score! 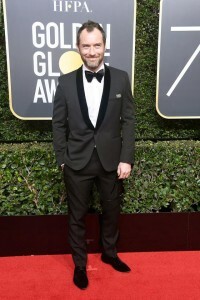 Overall, it was a wonderful night recognizing many gifted individuals, and though David Thewlis (Fargo), Helen McCrory (Loving Vincent), David Tennant (Ferdinand), and Jude Law (The Young Pope) were not among the winners, we would be remiss if we failed to note the great honor in being nominated. Harry Potter alums Emma Watson and Robert Pattinson also lit up the stage as presenters, proving these talented young actors have established themselves and earned a respected place among their acting peers. We look forward to the day they, too, will be listed among the nominees. Given their performances over the last few years, it’s only a matter of time! Congratulations to Gary Oldman and to all the Harry Potter and Fantastic Beasts cast members–we have seen them conjure pure screen magic, and we expect they will do so again!